See that adorable bag over there, the one you could throw your entire life inside – I just bought it. And I love it. What savvy traveler couldn’t use a multifunctional bag, the kind that goes from beach to street and still looks chic? 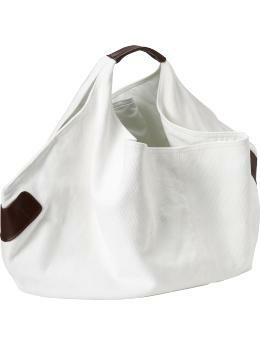 Tell me this white canvas tote with faux leather accents from Old Navy isn’t just what you’ve been looking for! The best thing about it is it’s on sale right now for just $10. Wireless Internet. Cable, and Phone (free long distance in the US) Only 2 blks off the airtrain!